“Fair Play” is an expression that calls an ideal behaviour towards oneself, colleagues, opponents and all other participants in a sporting event. This spirit of fair participation is not new. We find a significant source in the “Olympic Truce” and many examples throughout history have revealed the deep and powerful values of sport. No matter if we are supporters of the phrase: “the important thing is not to win but to compete” or of that one: “winning is not everything, it’s all”, what it matters is how it is done. If “Fair Play “ is included as a fundamental premise in the performance , then competition will be in the right track. But “Fair Play” is not only a motto for athletes. It should be extended to all those stakeholders involved in the sports game: whether they are managers, parents, coaches, officials, journalists, fans, etc. 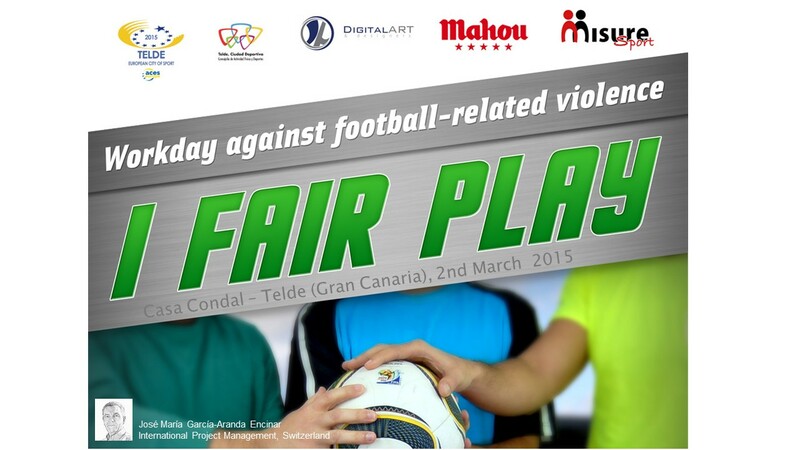 “Fair Play ” is a very broad concept that covers many diverse aspects. Therefore, there are many factors that can negatively interfere in its implementation in sports. One of the phenomena that often blurs this fair and necessary spirit, is the behaviour of parents during the matches. Seeing your child a future football star, leads to behaviours which are sometimes of great stress for the children, coaches, referees and opponents. Each of the participants, active or not, has a responsibility. Finding solutions to transmit the positive values of sport, should be a team work task.